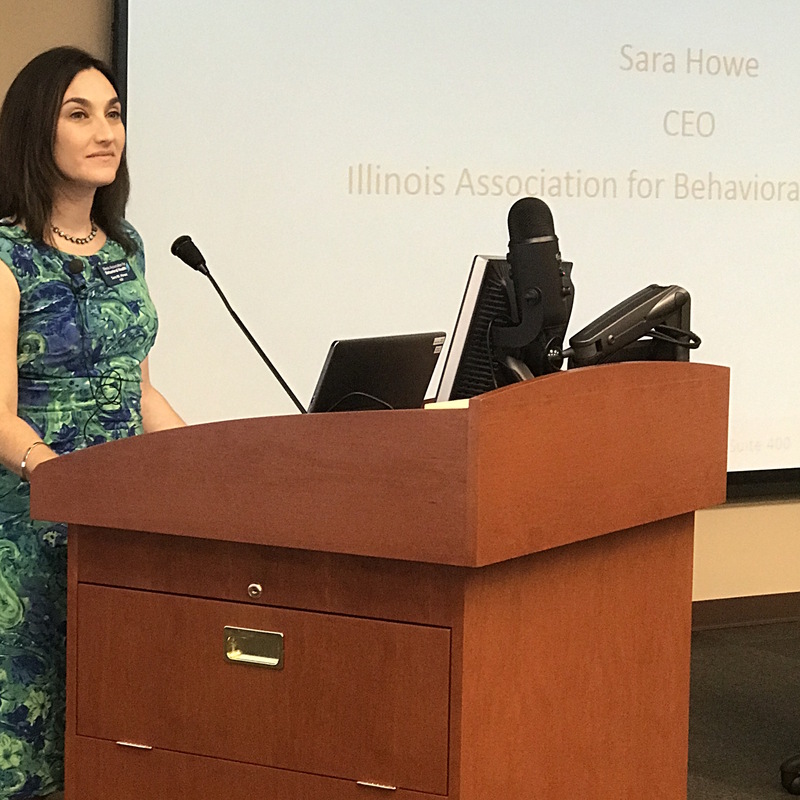 (Springfield, IL) – Illinois Association for Behavioral Health CEO Sara Moscato Howe today issued a statement calling on Governor Bruce Rauner and the four legislative leaders to act “quickly and responsibly” in order to produce a full Fiscal Year 2017 state budget. “With the FY 2017 stop gap budget expiring at the end of December, the Illinois Association for Behavioral Health urges both the legislative leaders and the governor to approve quickly and responsibly a full-year state budget that reverses the budget cuts that have been imposed on mental health care and addiction prevention and treatment in recent years,” Howe said. (Springfield, IL) – The Illinois Department of Insurance has received a $1.3 million federal grant to improve consumer and healthcare provider outreach, focusing on parity in mental health & substance use disorder benefits, and preventative health services. Illinois Association Behavioral Healthcare CEO Sara Moscato Howe echoed Dowling comments. “The grant does present an important outreach opportunity to help individuals struggling mental health or substance use disorders to get the care that they need, but otherwise may forgo by being unaware of insurance benefits to which they are entitled,” Howe said. A portion of the grant will be directed to the Office of Consumer Health Insurance to improve data tracking and consumer complaint analysis. It will also help in increasing awareness of the internal and external appeals processes for health insurance consumers. The grant will allow the state insurance department to develop community-focused health insurance consumer education for Illinois residents. The state agency will also work with health plans, consumers and providers to ensure that mental health parity compliance is understood. “I am committed to furthering this collaboration to achieve mental health parity in the commercial health care system by collaborating with my colleagues as well as with the provider community in Illinois,” said Dowling.